You know, I hear an argument all the time. What is better? Paperback, eBook, or Audio. And a lot of the time, I see people who either read paperback or eBook shame people who listen to audio, calling them ‘lazy’, or not ‘real’ readers. I don’t know what’s happened in our culture the past few years, but the land social media really brings out the bad, hypocritical, and criticism of people. This is the reason why I’m so against the “Common Core” math that has been forced upon the recent generation of American children. Growing up, I learned many things from school and from my parents. One of the most important lessons is: everyone is different. And it’s okay to be different. We’re all unique, and we’re all wonderful. There is no “one” way to do math. What is 9 x 4? 9 + 9 + 9 + 9 = 36. 4 + 4 + 4 + 4 + 4 + 4 + 4 + 4 + 4 = 36. 9 + 9 = 18 + 18 = 36. 4 x 4 = 16 + 16 = 32 + 4 = 36. 4-1 = 3 tenths and 9-3 = 6 ones : 36. Put 10 fingers in the air, count 4 from left to right, put that finger down. You have three fingers on the left, or 3 10s, then you have six on the right of the downed finger, or 6 ones. 36. There is no one way to get there. Any different people have an easier time with a different path. In school, we learned about different types of learners: visual, auditory, reading/writing, and kinesthetic. Each learning type responds best to a different method of teaching. There are people who read a book and retain more than those who listen to a book. However, there are people who retain more who listen to it than read. And there are people who read and listen to their favorite book because they want all they can get out of it. Now, why should you listen to a book? Well first, if you’re skeptical, take the boring narrator out of the equation. If you’re thinking about that guy who used to do the “Dry-Eyes” Visine commercials, then you’re listening to the wrong narrator. You need to think of a narrator like Robin Williams. Someone who can do voices for each character. Someone engaging, who keeps you so involved, that you almost think a movie is going on inside your head! Those are the audio books that are fantastic. 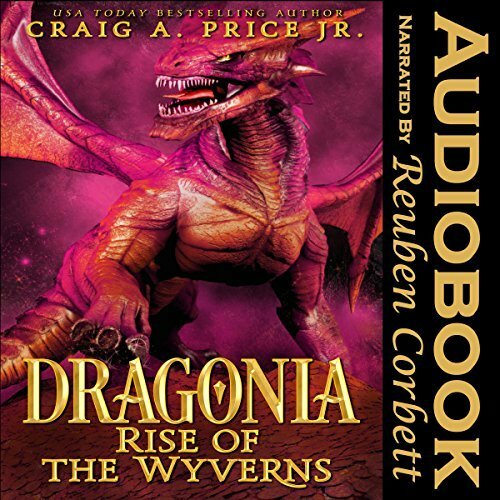 So if you’re on the fence about audio books, first, find a fantastic narrator. Then, give it a shot. I love audio, and have listened to hundreds of audio books. And I’m super excited about my series: Dragonia, because the narrator does a fantastic job with fantastic voices for each character!